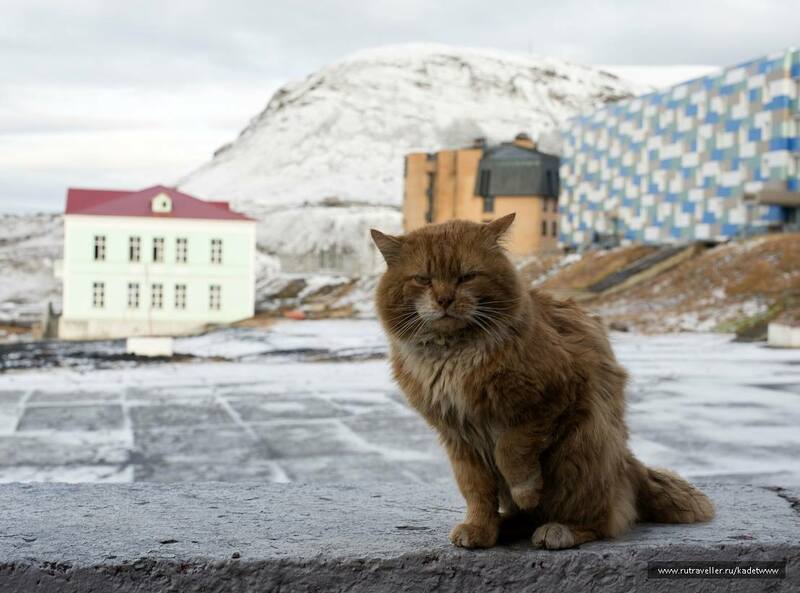 With the Soviet architecture and a bust of Lenin, Barentsburg is a small Russian/Ukrainian community on Svalbard archipelago. 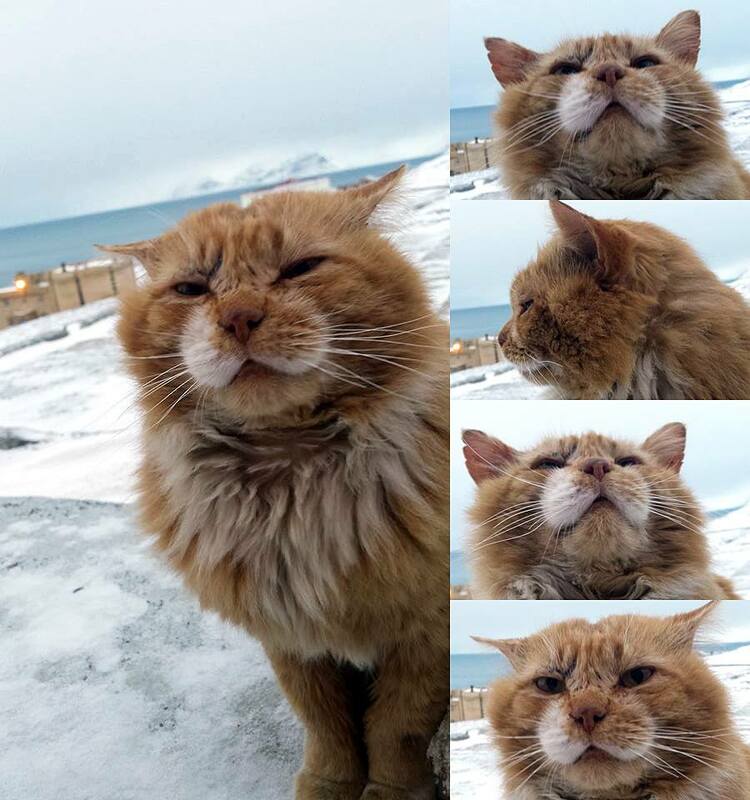 In order not to disturb the ecological balance, keeping cats on the Arctic Svalbard archipelago is strictly prohibited. Nevertheless, the cat Kesha was brought there by Russians and the paperwork stated that it was an arctic fox. Kesha is taking advantage of the fact that he is a documented predator, therefore, he despises and scares off trespassing arctic foxes. During the day, he surveys his territory and occasionally stops by a diner. At night he goes to sleep in a mechanical workshop. The stormy cold weather doesn’t affect Kesha’s attitude: after all, he is an arctic fox, not a snuggling kitty. He is very kind and affectionate pet, who is loved by the whole town. Locals even line up to pet him and bring him treats. – via leprosorium.ru, Facebook/Mike Homola.